It all started when an alien race was coming to conquer earth...They were the Oni headed by Mr.Invader..Although a conquerer he was an honorable....thing...so he gave earth one chance..If an Earth champion beat thier champion in a game of tag then the Aliens would leave peacefully..A computer chose Ataru as the champion....Now Ataru just had to touch the horns of this anlien called Lum but it wasn't easy..cause She can fly...Nine days He tried to get her..Then the night of the Final day Ataru's Girlfriend said to him that if he saves earth she would immeadiatly marry him.Ataru then planned a scheme to win.The final day during the last ten minutes before the invasion Ataru stole the top of her bikini.In an attempt to get it back Ataru grabbed the hornes and as a victory remark he said "Now I can get married!!!!!! 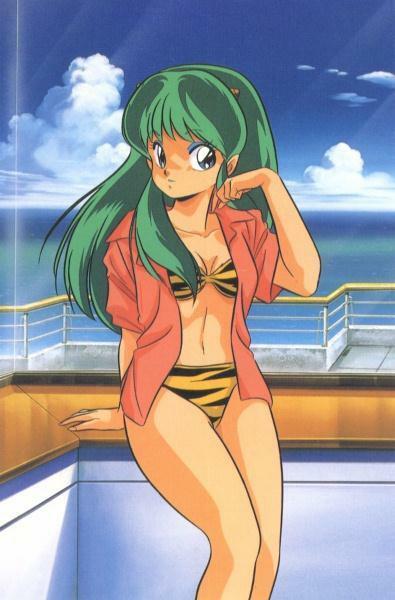 "Lum thought that this was a proposal to her. 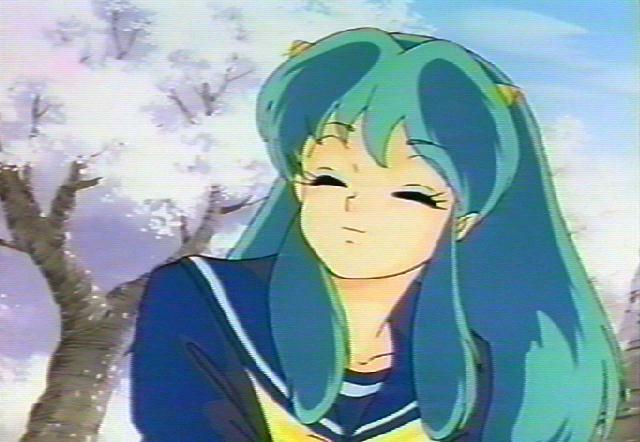 So she shocked him sensless.Now she pursues Ataru and tries to kill the girls he hangs out with.